When it comes to exclusive architecture, you can tell by the quality and attention, to detail of the effort and time put into it. This modern residence in Johannesburg was designed by one of the leading brands in the South African architectural field, with professional designers who specialise in commercial as well as residential architecture. In this ideabook, we explore the skills and craftsmanship of the team at François Marais Architects in one of their forefront residential homes. 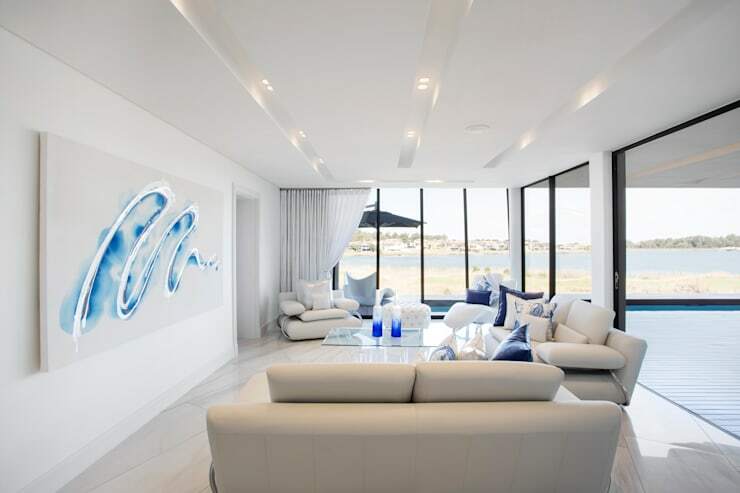 This modern house features all round glass walls making excellent use of light and UV energy in a smart way. It also oozes luxury and glamour and is well suited to a stylish and energy efficient lifestyle. 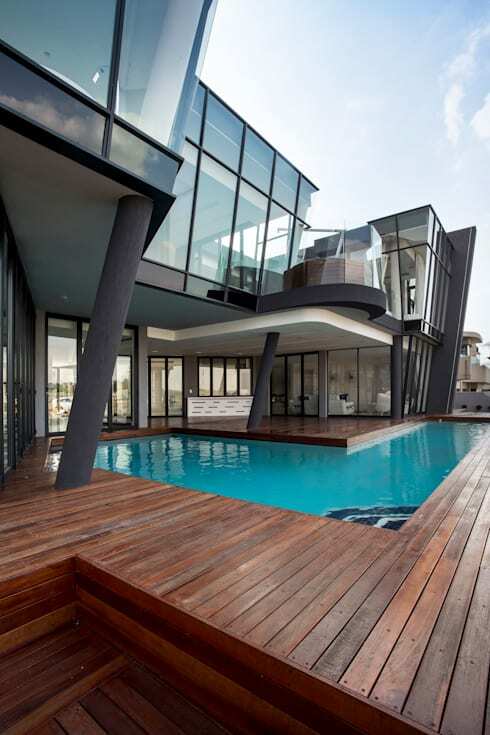 This Johannesburg home exudes modern luxury with this specially designed to perfection property. The all-round glass wall is a smart choice, making use of natural light while the design portrays a futuristic elegance. What’s more fitting than having a luxurious pool to accompany the majestic beauty of a home? Designers incorporated an L-shaped pool that allows for both lap swimming and simply relaxing on the warm summer days. The wooden deck is a beautiful addition to this modern home, blending with the crisp, clean, modern aesthetics of the property. 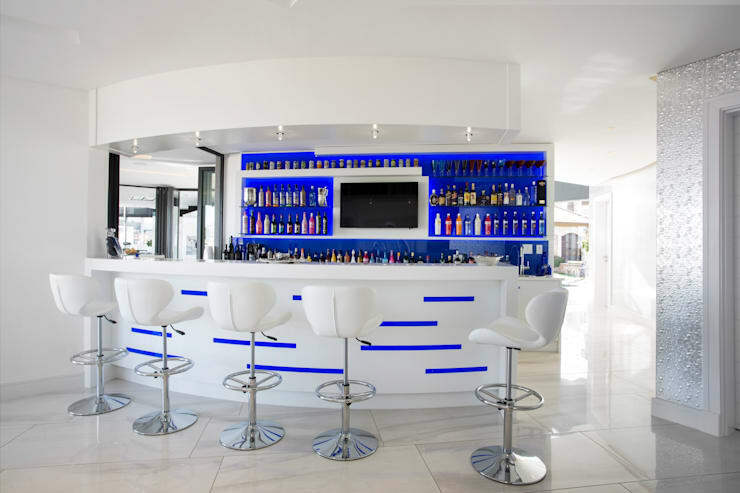 This white and blue themed bar is simply chic and truly the epitome of glamour. It’s minimalist design blends abundant style and elegance that cannot be denied. This modern living room is simply gorgeous. The leather white seats and accents open up space even more, drawing in the natural light and creating a chic environment. 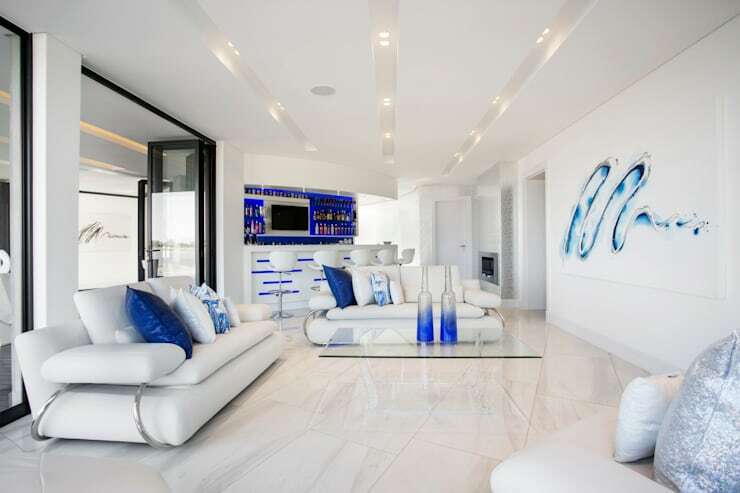 With the blue and white accents throughout the space, it sets the tone for an oceanfront lifestyle. This space is beautiful, chic, and inviting. This is a grand, yet minimalist home office with stunning décor and enough space to clear your mind and focus on work where needed. 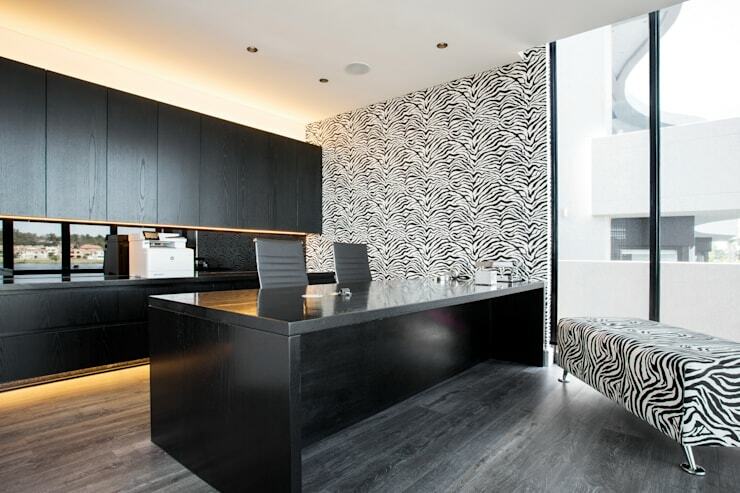 This is what the residents at this ultra modern property get to enjoy. 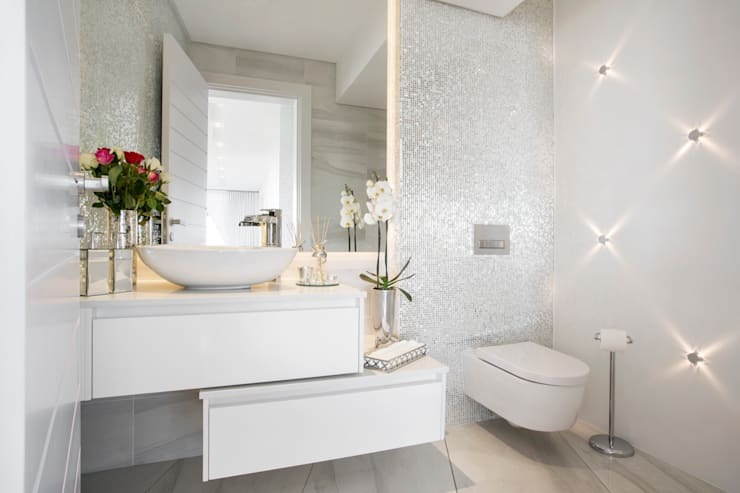 This modern bathroom is not only great on the eye but demands attention because of the chic interior designs and furnishings. What a glamorous affair! 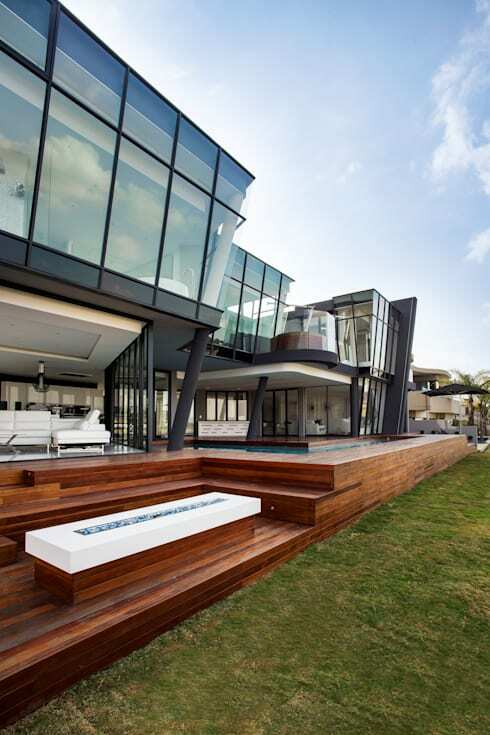 For more design gems, check out the sleek and stunning dream house of Johannesburg. Does this home spark the desire for an ultra modern lifestyle in your home?